Fedena 2.3 is coming with lot of enhancements and patches along with the bugs identified in the 2.2 version. 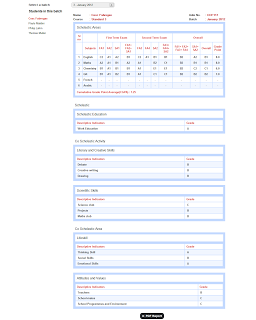 The main enhancement in Fedena 2.3 is the complete restructuring of the Examination module and making Timetable and Attendance module independent of each other. Examination module in Fedena is completely restructured and now includes GPA and CWA evaluation methods as per international standards along with the normal grading system that was available in Fedena 2.2. CCE evaluation method is included as per the guidelines of CBSE, India. 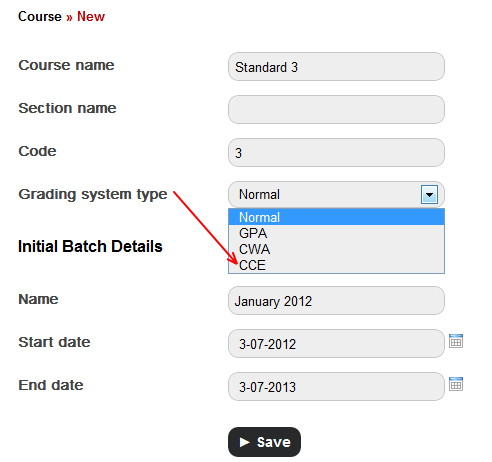 With the restructured module, an institute can define both CWA and GPA systems for their institute. They can specifically define either CWA method is used or GPA method is used for a particular class (course/standard). 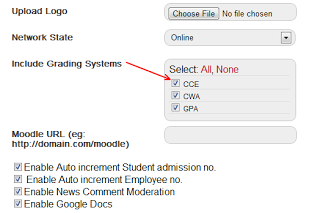 Class designation and Ranking levels are introduced in the application to cover different analyzing criteria’s of an institution. 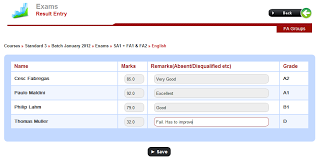 Raking level can be used to define the different ranking/pass/fail criteria used by the institute based on the percentage scored in each subject and based on the number of subjects. 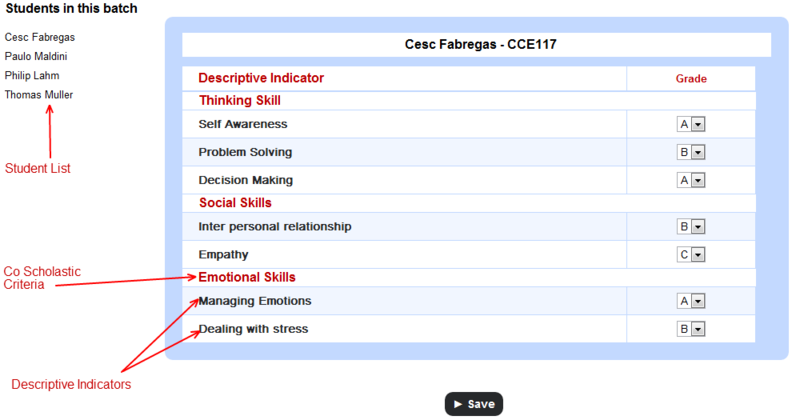 Class designation is used to define ranking/pass/fail criteria based on the overall percentage/grade secured. 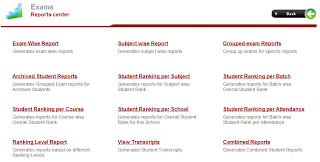 New Fedena has come up with a comprehensive report center which includes different Student Rankings specific to batch/course/school/subject/attendance. 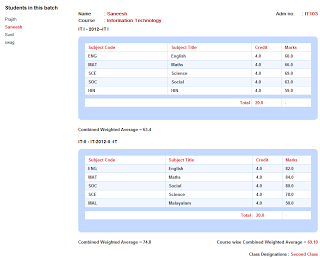 reports, Exam wise and Subject wise reports. 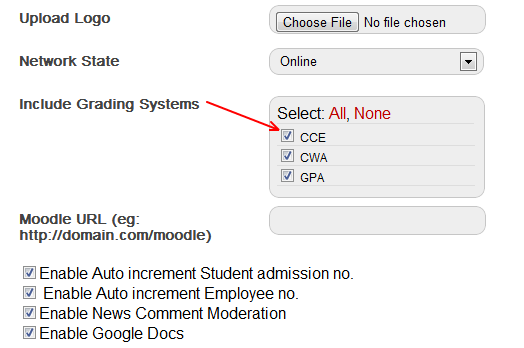 Transcript is added from which all the academic history of a student can be taken in a single report. 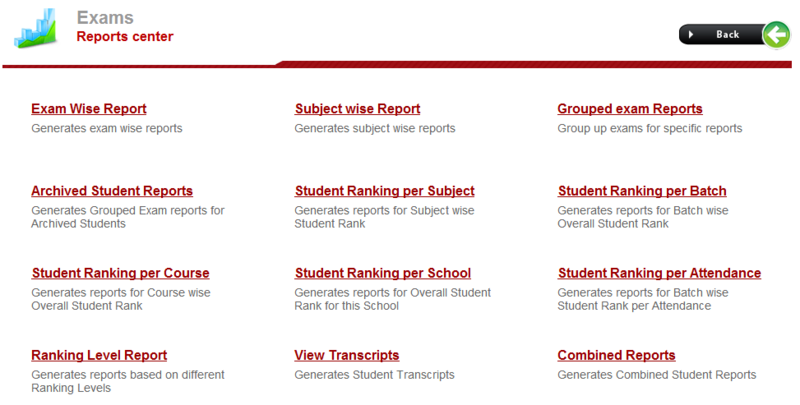 Combined report is another new enhancement in which user can take student list belonging to each of the class designations/ranking levels/pass criteria/fail criteria. 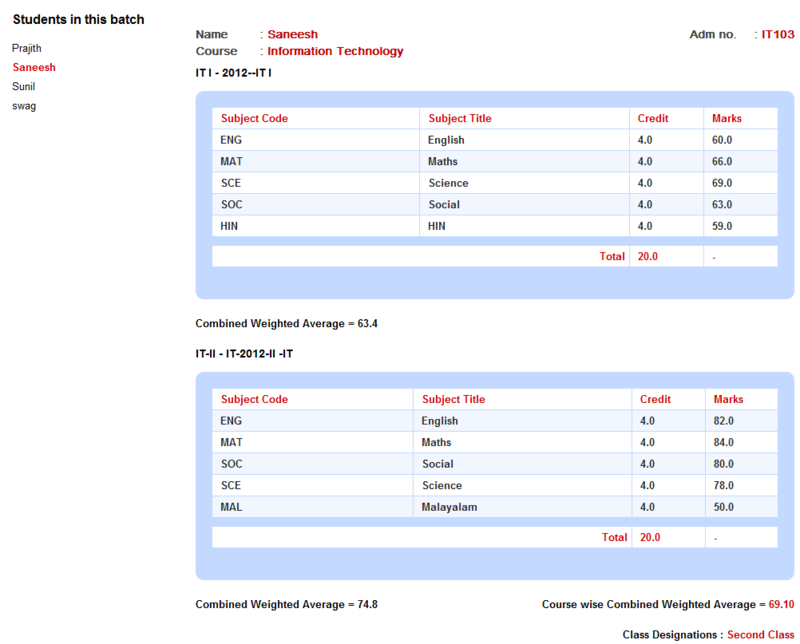 Archived batches report is also available so that report of students who retake (supplementary) the exams is generated. 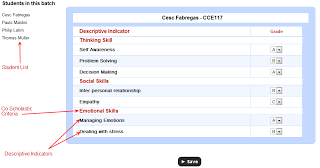 CCE evaluation is added in Fedena 2.3. 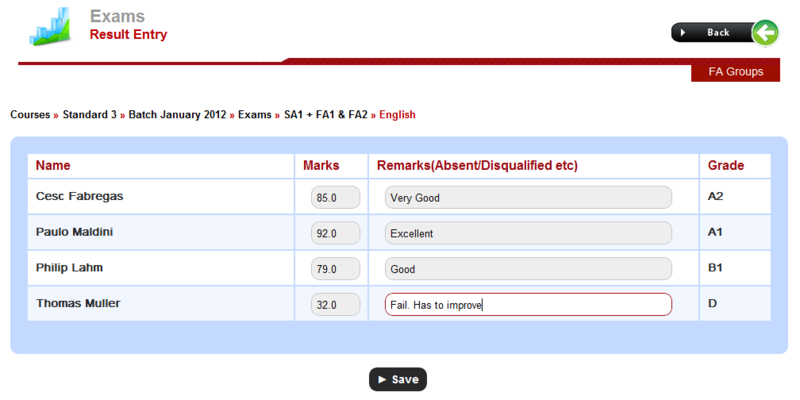 Institutes which follow CBSE, India syllabus use this evaluation method. This CCE is currently for Std V – Std X. Both Scholastic and Co Scholastic areas are covered in detail. 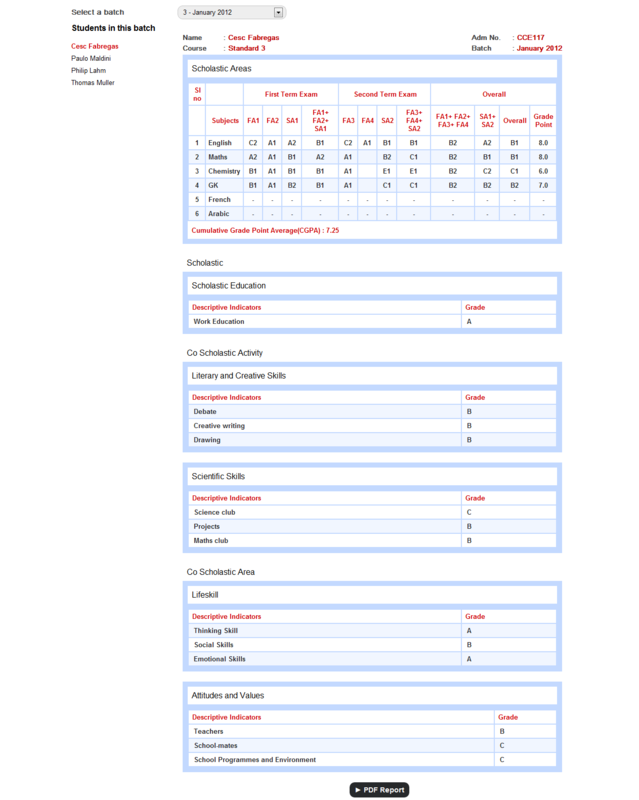 Also this is one of the few applications which goes to the deepest level of evaluation made method thus saving a lot of time for the instructors in calculating the grade average of the descriptive indicators. Continuous and Comprehensive Evaluation was formulated by Ministry of Human Resource Development, India.This is the new teaching method introduced recently to decrease the accumulated stress of board exams on the students and to introduce a more uniform and comprehensive pattern in education for the children all over the nation. CCE helps in improving student’s performance by identifying his/her learning difficulties and abilities at regular time intervals right from the beginning of the academic session and employing suitable remedial measures for enhancing their learning performance.